Welcome to the Grand Theft Auto IV Who am I? game! Here you will learn more about Grand Theft Auto IV, Grand Theft Auto: The Lost and Damned and Grand Theft Auto: The Ballad of Gay Tony characters, while having fun and earning points to increase your rank in the Leaderboard section. Before playing for the first time, read the How to play and Rules sections. Enjoy the game! 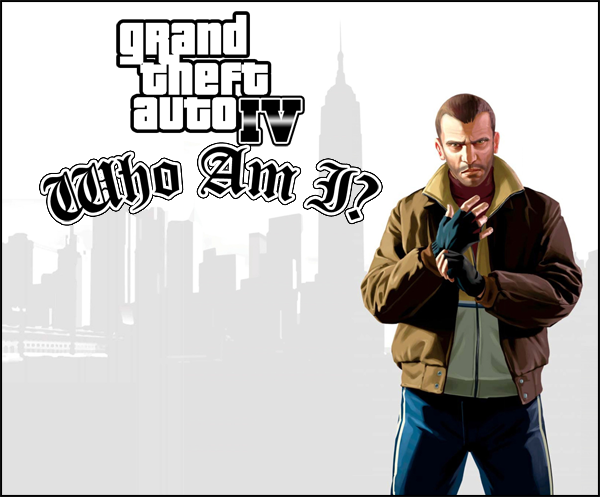 The turn holder will post a clue about a character from Grand Theft Auto IV, Grand Theft Auto: The Lost and Damned or Grand Theft Auto: The Ballad of Gay Tony. The player will post a guess on who the character is. If the turn holder posts a confirmation that the guess is correct, the player will become the turn holder and will earn 1 point in the Leaderboard section. The player may only take a free turn if the turn holder passes their turn, or if a new clue is not posted after 24 hours since the turn started or the last clue was posted. The player may post only 1 guess every time a new clue is posted. The player may not modify their guesses or clues after they have already been posted. The player that passes their turn may guess again only after the turn is over. The turn holder has to explain the clues they posted after a player guesses correctly. Players that had their GTAForums account "busted" will be removed from the Leaderboard section. The creator of the game may take any actions about the game or against any player within this topic. @Fisciletti - for creating the game. @KaRzY6 - for creating the logotype of the game. Rockstar Games - for creating Grand Theft Auto. GTAForums - for hosting the game. Clue #1: Random character - Hossan is one of the random characters you meet in game. Clue #2: Western Algonquin - You meet him on western Algonquin. Clue #3: 1968 - He was born in 1968. Clue #1: "Hey man, can I borrow a dollar, hey.. give me some.. just a little change man(...)" - not sure if its the the exact quote but thats the best I could hear from him. All wrong and since I've been away so long and there's been so many guesses, I'll give two clue.